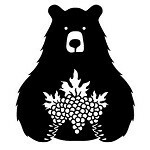 Bearing Fruit Vineyard is about the process of transforming a 4.33 acre parcel into a vineyard that produces an abundance of quality wine grapes. The Bearing Fruit Vineyard goal for the vines will be an emphasis on quality, minimal intervention to allow the grapes to express the “terroir”, and a hands-on approach to farming. The vision for Bearing Fruit Vineyard is for it to be a charitable, retirement endeavor. We will patiently await the future harvests and sale of the grapes to a local winery, or wineries. At that point, profits from the grapes will be added to the Bearing Fruit Foundation; supplementing our other annual / primary contributions to the charitable organization that we have recently formed. You are invited to join us on this journey.